Fully prepare to pass the wound care certification exam and get certified! 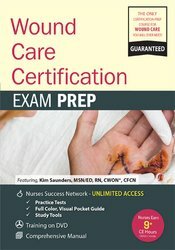 This comprehensive, proven wound care certification prep course offers the knowledge needed to pass the CWCN, CWS and WCC exams. This unique presentation includes pictures and case scenarios that will make this information “stick” in your memory. You will learn about the latest wound assessment principles along with strategies for proper assessment in various clinical settings. Understand how to differentiate etiology, complications and symptoms of wound stagnation by clinical presentation. Gain the ability to critically analyze multiple treatment options for each type of wound presentation. You’ll also get valuable test-taking strategies and tips that are certain to aid in your quest for success on the wound care certification exam! Assess skin clues regarding wound etiology. Evaluate patients with compromised nutritional status. 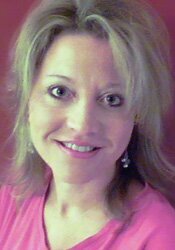 Determine the differences between healing, maintenance, and comfort wound goals. Analyze bacteria characteristics, loads, and indications for systemic antibiotics. Prioritize treatment strategies for refractory wounds. Distinguish between lymphedema, lipedema, and venous insufficiency edema. Differentiate assessment/treatment for stasis dermatitis, atrophie blanche, lipodermatosclerosis. Establish management guidelines for Stevens-Johnson syndrome & toxic epidermal necrolysis. Nurses completing these self-study materials will earn 9.6 contact hours. Expires: 10/23/2020. California Nurses: PESI, Inc. is a provider approved by the California Board of Registered Nursing, Provider #:17118 for 9.5 self-study contact hours. Florida Nurses: PESI, Inc. is an approved provider by the Florida Board of Nursing. Provider #: FBN2858. These materials qualify for 9.5 self-study contact hours. Iowa Nurses: PESI, Inc. is an approved provider by the Iowa Board of Nursing. Provider #: 346. Nurses successfully completing these self-study materials will earn 9.6 self-study contact hours. This self-study course consists of 9.5 clock hours of instruction that is applicable for physical therapists. CE requirements for physical therapists vary by state/jurisdiction. Please retain the certificate of completion that you receive and use as proof of completion when required. California Physical Therapists & Physical Therapist Assistants: PESI, Inc. is recognized by the Physical Therapy Board of California as an approval agency to approve providers. This self-study lecture qualifies for 9.5 continuing competency hours. Illinois Physical Therapists & Physical Therapist Assistants: PESI, Inc. is a Registered Physical Therapy Continuing Education Sponsor through the State of Illinois Department of Financial and Professional Regulation, Division of Professional Regulation. License #: 216.000270. This self-study course qualifies for 9.5 CE credit hours. New York Physical Therapists & Physical Therapist Assistants: PESI, Inc. is recognized by the New York State Education Department, State Board for Physical Therapy as an approved provider for physical therapy and physical therapy assistant continuing education. This self-study course qualifies for 11.5 contact hours. Texas Physical Therapists & Physical Therapist Assistants: This self-study activity is provided by the Texas Board of Physical Therapy Examiners Accredited Provider #2106032TX and meets continuing competence requirements for physical therapist and physical therapist assistant licensure renewal in Texas. This activity will provide 9.5 CCUs. The assignment of Texas PT CCUs does not imply endorsement of specific course content, products, or clinical procedures by TPTA or TBPTE. Full attendance is required; no partial credits will be offered for partial attendance.